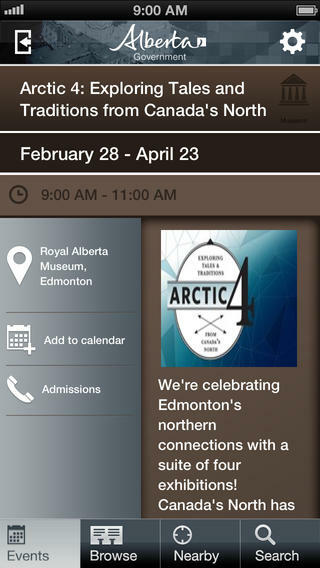 The Alberta Government has officially launched their new Alberta Culture Events Calendar iPhone app, to allow residents to stay in touch with events going on in province, such as festivals, gallery events, performances and more. The app provides details on events such as the time and place plus also enables users to add events right to their calendar. The Alberta government also has a responsive cultural arts website providing the same information, which will automatically adjust to any mobile device. The government says over 6,500 events are set to take place in 2013, surpassing last year’s total of 5,000. 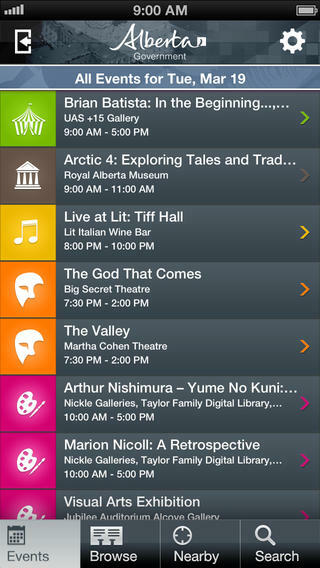 Click here to download the Alberta Culture Events Calendar iPhone app–it’s free.